I’ve figured out why the dinosaurs disappeared. The answer lies where the lawn meets the sidewalk. Long after the dinosaurs disappeared, I came along. Being a country kid, I didn’t know much about sidewalks and their struggles with the encroaching Earth. Hence, I believed the dinosaurs were probably killed by an asteroid or something ridiculous like that. As a suburban adult, I’ve had my eyes opened about how rapidly a hungry lawn can overrun the sidewalk. The Earth is a devourer of all things immobile or complacent. The dinosaurs grew complacent. This is why their bones are found deep below the Earth’s great lawn. But why? What made the dinosaurs give up their vigor to the point of allowing the Earth to swallow them up? The Lesson of the Dinosaurs: become complacent and this world will devour you. Over Memorial Day weekend, my family embarked upon an edging project. Day one consisted of a little bit of edging and a great deal of children being in the way. By “being in the way” of course I mean “helping.” They helped by demanding to be allowed to use tools they were not strong enough to lift; misplacing the tools they could carry; fighting each other for the right to misplace them; bringing their disputes to the edger-pushing parent every minute on the minute; tangling electrical cords; placing themselves exactly in the way of progress; and rendering similar forms of useful assistance. On the second day, I got smart. I let the boys play video games. The big boys didn’t even notice me go outside. Only Big Man held his interest in helping. This left him no brothers to fight. The only one to argue with was me, and once I got it through his head that he wasn’t running the edger, the pace picked up considerably. We finished the job in no time, freeing the concrete from the amazing amount of sod that had overrun it in just a year or two. Don’t think it could only happen to dinosaurs. Seen any saber tooths lately? The Earth will eat up anything that stands still long enough. The beginning of the end for the dinosaurs came when they abandoned their edging and became complacent homeowners. 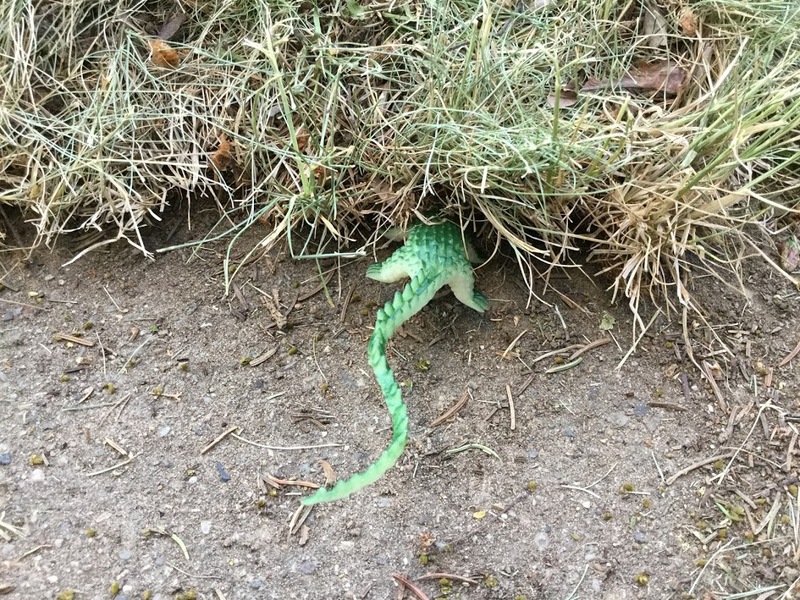 The Earth covered over their sidewalks and then it overwhelmed the dinosaurs themselves as they waited for the children to grow up and move out so they could straighten up the place. The dinosaurs gave up on their edging because they had too many dinosaur children helpers frustrating their efforts. The dinosaur children were always underfoot because there was nothing consistently reliable to distract them from helping. Dinosaur culture crumbled for the lack of compelling video games. That long ago, they couldn’t have had anything more sophisticated than Atari. Think about that next time you lament your child’s affinity for screens. 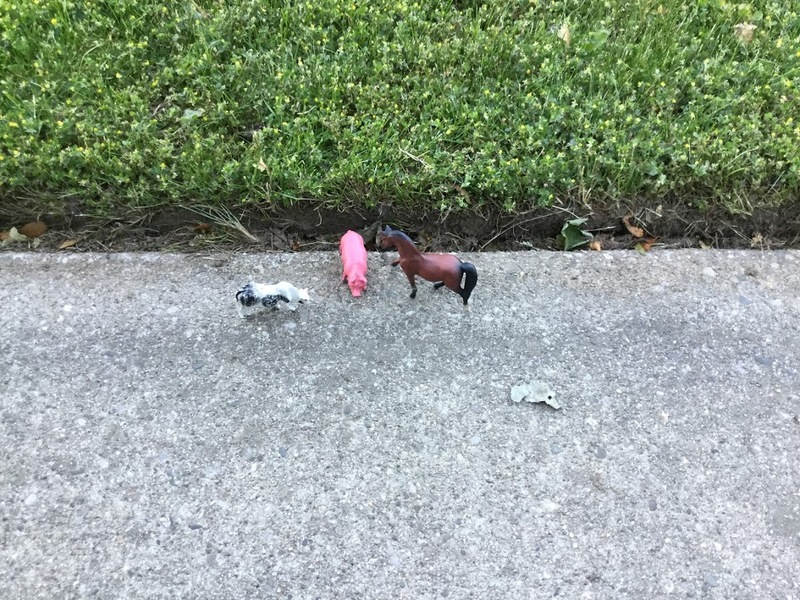 A group of non-extinct animals demonstrate the safety of a properly edged walk. 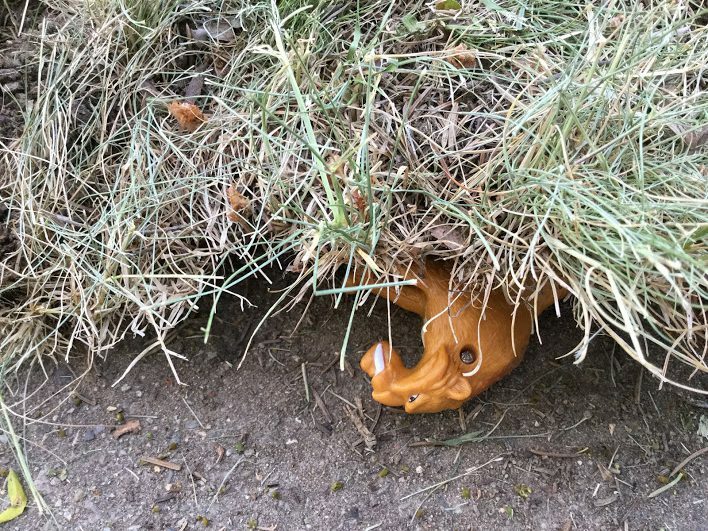 This entry was posted in Random Toy Box and tagged Dads, dinosaurs, edging, family, fatherhood, great extinction, humor, lawn maintenance, parenting, video games. We scientists rely awfully much on logic. Your logic is flawless. No argument here. You should get it published in The Journal of Irreproducible Results. You should also apply for large government grants to study this further. Now that some other bloggers have read it, I can boast of it being peer-reviewed. Ugh edging. We have no sidewalks where we live. No edging required. Maybe we still have dinosaurs here. I’ll have to check. If I’d destroyed my whole species, I wouldn’t talk about it either. There are lots of people who love the photos of your flowers, so you’d better keep them safe from the hungry Earth. I always knew the asteroid thing was BS. Thanks for clarifying the issue. I didn’t realise you were only 6? Makes my vast wisdom even more amazing, don’t it?